I’m not going to pretend I don’t love me some Psychic Taco. Let’s be real, their double pork, chipotle street tacos are one of the best experiences you can legally buy for $1.99. Plus the fact that you don’t even have to order and they still get your food right 99% of the time is a stunning demonstration of Clarke’s third law. Seriously, those idiots over at Taco Hell can’t get your order right half the time even when you say it to them very slowly. Next to that, Psychic Taco really does seem like magic. But have you ever wondered how they do it? Psychic Taco would have you believe it’s just good, old-fashioned, 21st-century, American ingenuity. While their technology is very ingenuitous (That’s a word, right? No? Well it is now. ), there’s more to it than they are letting on. Turns out Psychic Taco has a dark side. Conspiracy theories about everyone’s favorite precognition-themed taco franchise have been swirling around the storm drains of the Internet for years. Garlix Jonas, famous for being a nutter on YouTube, once spent an entire episode ranting about Psychic Taco’s alleged lunar slave colony. No one without some kind of cognitive defect took these claims seriously. Some claim this is just a hoax but witnesses have verified Shari, the woman in the video, is indeed a Psychic Taco employee. Reporters and law enforcement have since been unable to locate her. That doesn’t mean it still couldn’t be a hoax but it does give it a higher measure of credibility. It was enough to prompt me to do some more digging into the franchise. The most alarming thing I found is that even experts in the world of Big Data are baffled by Psychic Taco’s predictive ordering software. Some say what they’ve accomplished shouldn’t be possible with current technology. That Shari would choose The Chronicler as her target broadcast seems to have some significance as well, though I’m not sure what it means. 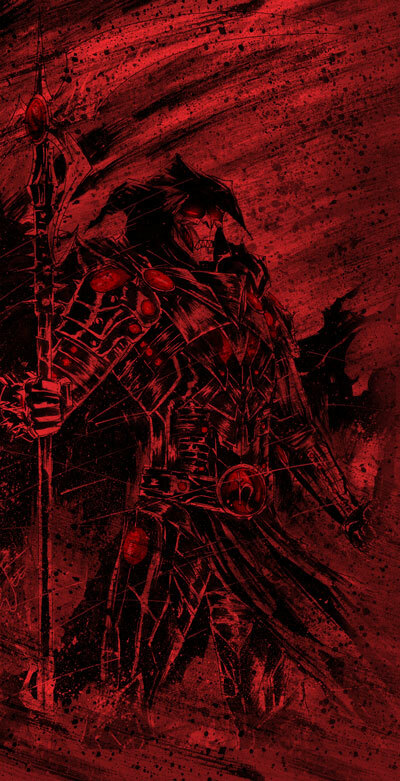 For those who don’t know, The Chronicler is a show dedicated to talking about The Black Suit of Death comic book series. Both the show and the comic have a small but passionate cult following. What does that have to do with all of this? 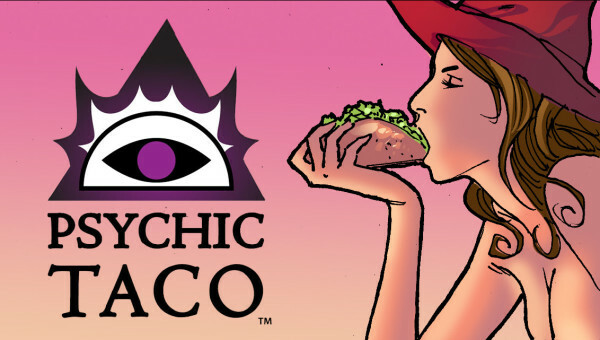 Fans of the comic say the next issue exposes some of Psychic Taco’s secrets. Shari seems to think that Edd, the character from the comics, is a real person and she’s trying to warn him about the chain’s ties to a secret cult bent on mass producing some kind of weapon straight out of science fiction. So how does Psychic Taco predict your order? According to the conspiracy theorists the Black Suit of Death is a real thing, a piece of alien tech that Psychic Taco studied to unlock secrets hundreds of years ahead of their time. They use this to harvest Big Data from all over the Internet, even from sites they don’t control, and feed it all into advanced alien algorithms to predict what kind of hot sauce you will want. This would be in line with the claims Shari makes in the video. Is that what’s really going on? I don’t know. But it does seem that Psychic Taco is using their power and influence to try to stop the production of Black Suit of Death #3. The writers have reported threatening phone calls and men in black suits following them everywhere they go. I might have written this off as the paranoid delusions of a couple of hacks but Shari’s video gives me pause. Whatever the truth is, it won’t be served by blocking the publication of this indie comic. I, for one, want to know what BSD #3 has to tell us about Psychic Taco. 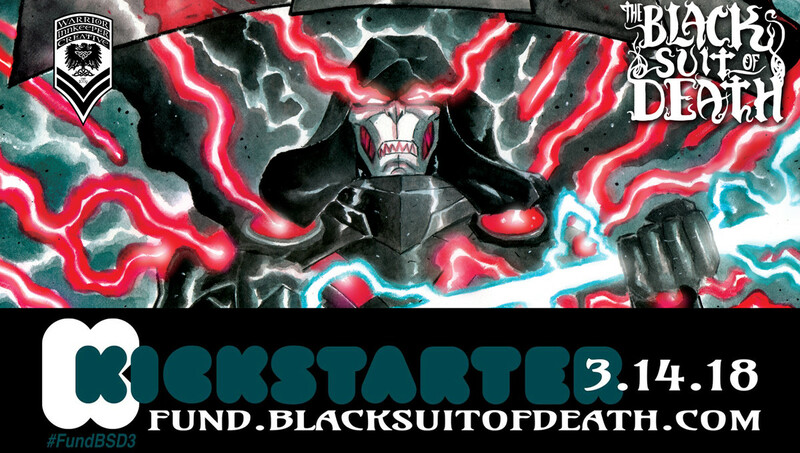 That’s why I’m backing their Kickstarter, which just launched. If you care about the truth, you might consider backing it too. The very future of our civilization might be at stake.